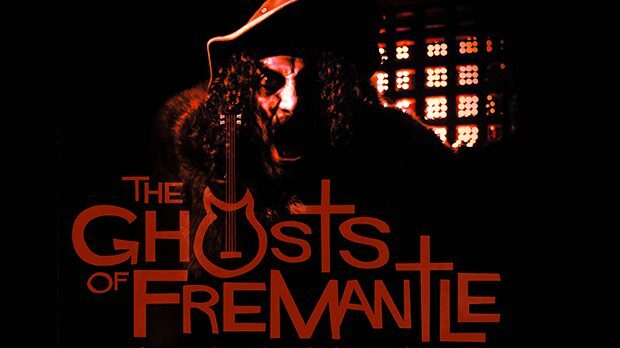 The Ghosts of Fremantle is back after sellout FRINGE shows in 2017! The atmospheric Fremantle Prison Theatre is the site for this spooky multimedia performance, on now until February 17, featuring original horror music and creepy soundscapes with performances by some talented WAAPA students and local Perth rockers. No stranger to the horror genre himself, artist and performer Will Axten offers up his top five horror movie soundtracks to SCOTT AITKEN. Horror movies are a fantastic source of inspiration for writing original music, with many classic 70s and 80s films being revisited by contemporary artists. These specialised film scores evoke strong emotional reactions in the listener and inventively combine a wide variety of instruments, sounds and soundscapes to surprise audiences and keep them on edge. The horror film genre is also one that pays homage to past works, through overt and covert references, to provide a window into the history of film. Many horror filmmakers perform multiple roles that can include composing and sound design, especially in the low budget classics that make up the best parts of the genre. Halloween (1978), Composer: John Carpenter – an inspirational score from the multi-talented writer/director John Carpenter. Definitely the man to aspire to for me. No doubt. The Halloween theme is a simple repetitive keys/piano motif that matches the suspenseful feel of this seminal slasher flick. This was an important film that launched many imitators and created a whole new film genre for eager drive-in audiences across America. The lurking white mask of Michael Myers, and the piano piece are unforgettable elements of a truly revolutionary film. The Thing (1981), Composer: Ennio Morricone – awesome use of cutting edge 80s synthesizers by Ennio Morricone, no doubt under the careful instruction of director John Carpenter (yes, he’s my favourite), including the classic ‘heartbeat’ sound that has been emulated in Stranger Things and many other places. The isolation of the snowbound research station is reflected in the foreboding theme music. The Exorcist (1975), Composer: Mike Oldfield – I love how Mike Oldfield’s Tubular Bells was transformed into a huge success through it’s inclusion in this movie, giving Richard Branson and Virgin Records a massive financial windfall. Although Mike Oldfield wasn’t too enthused by the use of his music in the film, his composition is both haunting and mesmerising. The Texas Chainsaw Massacre (1974), Composers: Wayne Bell, Tobe Hooper – Tobe Hooper created an amazing and gritty score for this groundbreaking horror film that was banned in several countries, despite showing very little gore. Gritty violin and metallic sounds grate against the listener, along with other psychedelic soundscapes. Again the film shows how a director can really hit the mark by writing his own score. Evil Dead (1981), Composer: Joseph Loduca – I love the work of Joseph Loduca who employed a classical feel to much of the score of this film that references many Hitchcock film scores by Bernard Herrmann. There is a lot of experimentation going on in this soundtrack, matching the innovative approach of soon-to-be-famous filmmaker Sam Raimi. Instruments are thrown together to create chaos, as undead evil spirits descend upon the scariest ‘cabin in the woods’ ever. The thunderous roar of the “unseen force” sounds almost Gregorian as it winds its way through the trees and across the floor of the woods; fantastic!